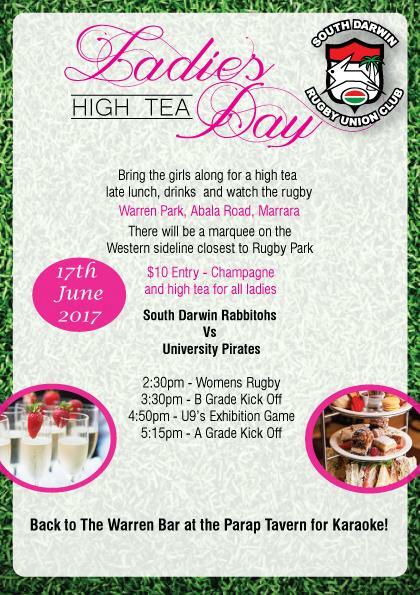 The mid-Season President’s Cup between the top two teams of the first half of the season, will this year be played out between The South Darwin Rabbitohs and The University Pirates at Warren Park, Marrara. Join us for a great day of FREE Club Rugby Union action in the Top End. Ladies high tea, late lunch, drinks. After Party & Karaoke at the Warren Bar @ Parap Tavern.